His Holiness the Dalai Lama is scheduled to visit Botswana from the 17th August. The Bushmen of Botswana’s Central Kalahari Game Reserve (CKGR) have written a moving appeal to the Dalai Lama, who is scheduled to visit Botswana this month, criticizing their country’s government for its brutal policies and urging him to speak out. In the letter, Bushman spokesman Jumanda Gakelebone said: “We still cannot live on our lands freely. The government makes it so that children must apply for permits to visit their parents when they become adults. We worry what the government will do when those parents pass away. “The government still forbids us from hunting and has introduced a shoot-on-sight policy against poachers. Last year a group of Bushmen out hunting were shot at from a police helicopter. Some of them were stripped naked and beaten. “People praise President Khama [Botswana’s President] as a conservation hero when he ignores our struggle and our country’s own courts. Yet his government is happy for mining to take place on our ancestral land. Hundreds of Bushmen were moved out of the Kalahari and into government eviction camps. Hundreds of Bushmen families were illegally evicted from their ancestral homelands in the name of conservation and moved into government eviction camps between 1997 and 2002, following the discovery of diamonds in the Kalahari. 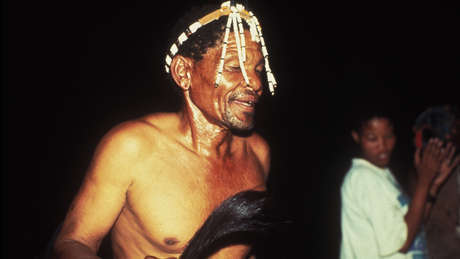 Although the Bushmen won the right to return to the reserve in a historic court case in 2006, the country still has not respected its own high court’s ruling. Most Bushmen are denied access to their land by a brutal permit scheme. They are also accused of “poaching” because they hunt to feed their families, facing arrest and beatings, torture and death under a nationwide hunting ban. 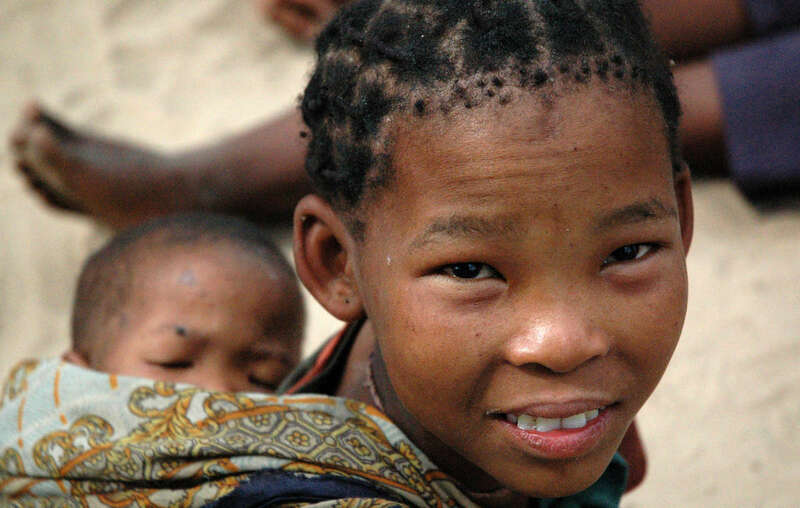 Survival International led the global campaign for Bushmen rights and is urging the Botswana government to allow them to determine their own futures.